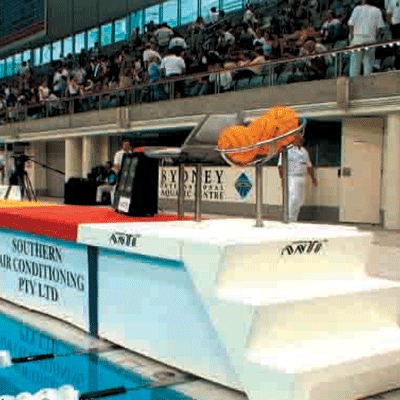 The Anti Wave Walkway provides a stable, elevated platform running the full length of the field. 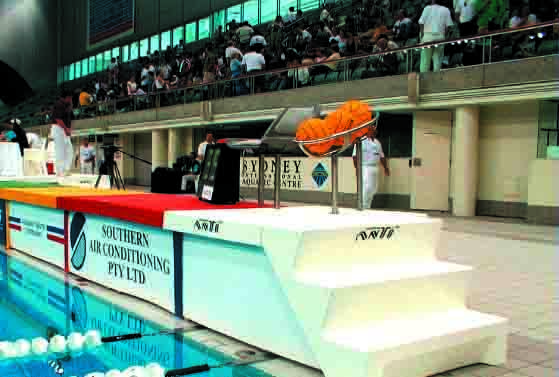 Surface is colour coded to comply with the latest Fina regulations and visible from the water. All fittings are SS316 stainless steel; folding aluminium supports are used together with UV resistant composite plastic and a non-slip decking finish. Each unit is 1.0m x 1.0m. Sturdy aluminium legs are designed to fold up underneath for storage and transport.